These 14x14 pillows can be used indoors or outdoors. Available as a single pillow or a set. 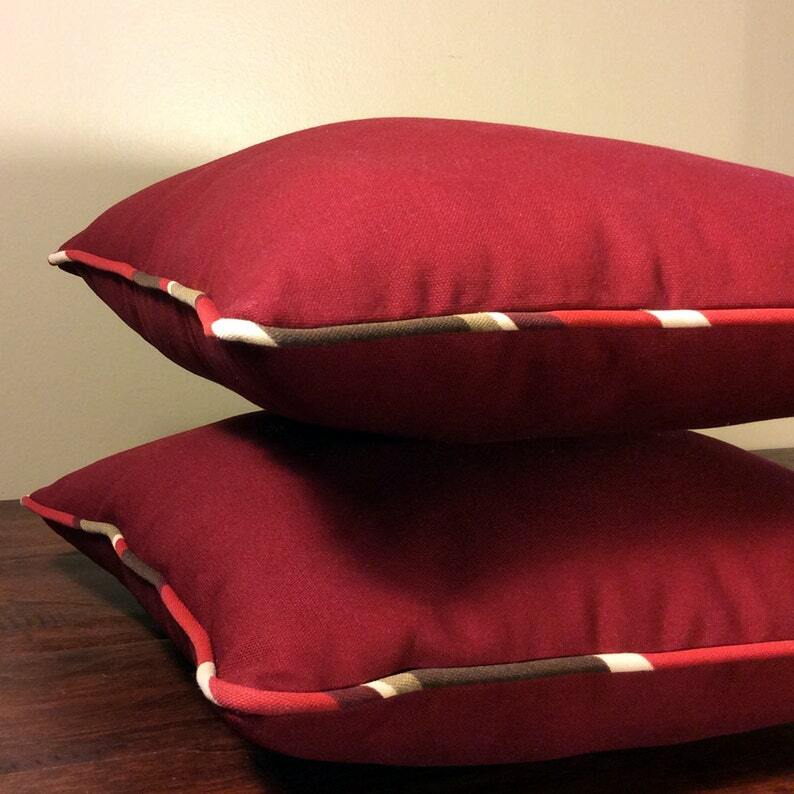 Burgundy red with burgundy red, brown and ivory stripe edge welt.